I received a mini facial from Stephanie. It was very relaxing and she provided a treatment catered toward my skin type. I would definitely recommend! Great, friendly service! Would be happy to visit again! Stephanie was amazing and I recommended her facials to two of my friends already!! I had a wonderful experience here. The facial was excellent and the person giving the facial was wonderful. Enjoyed the entire experience. Thank you so much for this gift. Friendly service, fantastic people and a very nice atmosphere. I'll definitely be back!! Stephanie was great. Truly enjoyed it! Wonderful face massage and very relaxing. Great spa, really nice treatment! I will definitely go back for their mini facial, my skin feels amazing! Stefanie was very good and knowledgeable. The mini facial was wonderful. Will definitely be back. Lovely, relaxing and customized experience for my mini facial with Stephanie. It was great, highly recommend! Very professional service. Happily surprised to lear they use all Aveda products. Stephanie gave me a wonderfully relaxing mini-facial. The salon is nicely decorated, and the people nice and friendly. Very welcoming and friendly staff; mini facial was extremely relaxing- enjoyed! Stephanie provided a very relaxing mini facial. She was welcoming and explained everything. A nice warm and inviting all round spa. I enjoyed my little facial treatment and will probably try a full facial at some point. I loved it! Very nice workers and I felt fantastic after my facial!! Stephanie was amazing, and the spa is beautiful, cozy, and inviting. I had a wonderful treatment and will be going back in a couple of weeks! A new favorite place! This service was such a relaxing and quick pick me upper for my skin! Such a great experience! Great mini facial, great customer service! The service was courteous and prompt. The environment was cozy. But it was only 25 minutes, way shorter than the 45minutes promised. Stephanie was awesome for the mini facial! I was very impressed with Polished. The shop was clean, decorated nicely and very welcoming. Everyone who worked there greeted me with a smile. My esthetician, Stephaine was professional and very comfortable with her skills. The owner, Crystal came over to me on my way out to say hello and make sure my visit was nice. I would definitely recommend this hideaway to my friends. The location is in the back of the building, not so noticeable from the street. However, the ambiance is good with great customer service. 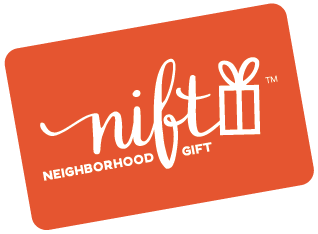 The nift gift card is the mini version of Image Conventional Facial on their menu. I will go back. First facial ever, was awesome!!! My experience at Polished at the Spa was very good. The staff are friendly and professional and the atmosphere was very comfortable and inviting. My facial was relaxing and met my expectations. Although skin care services and products are suggested, there is not pressure to purchase them. I had a wonderful mini facial with Stephanie. I left totally relaxed, and my skin looked fabulous! All of the staff were very nice. The facial was great and the products they used were excellent. I had a lovely mini- facial. EVeryone was very nice, also. A very nice treat. Thank you.